I just finished reading C.S. Lewis‘ story Till We Have Faces. I found it very enjoyable. I had thought it would be an allegory like The Pilgrim’s Regress, with lots of literary and classical allusions and references. I thought I would need to at least know the original story of Cupid and Psyche. However, I found that was not necessary. The best part was when Orual meets her sister Psyche once more, beyond all hope, in a secret valley; she can see Psyche, but she cannot see the palace she lives in. Why not? She does not want to. She sees that Psyche is happy, happier than she has ever been, but Orual does not allow herself to accept Psyche’s happiness. All she wants to know is, “Does Psyche still love me?” In other words, she is self-centred. The most significant thing about Psyche, as far as the world is concerned, is her physical beauty. However, it is also mentioned that she was a happy person, without malice. When Orual meets Psyche in the secret valley, Psyche’s happiness and the power of that happiness, rather than her physical beauty, become clear to the reader. It also becomes clear that Orual is an unreliable narrator. Work can be a distraction from what is truly important. Does Orual busy herself with mundane tasks in order to avoid facing the truth? Is what she is busy doing the most important thing? If not, why does she keep doing them? What should she be making her top priority? The more one busies oneself with mundane tasks, the more important they seem; and the more difficult it becomes to stop doing them. The Greek tutor perhaps represents rational thinking, human intelligence. He despises the pagan religion, the superstitious worship of the goddess Ungit, and the uncritical belief in Ungit by the common people of that land, and as he is made tutor of the King’s daughters, he teaches them his philosophy. He manages to make Orual hate the native, pagan religion, but is not able to persuade her that the religion is powerless or meaningless. Orual slowly becomes convinced that the Fox indeed does not know everything, wise though he is, and that the Priest knows of a deeper, stronger power. She believes that power is evil, “He thought there were no gods, or else (the fool!) that they were better than men. It never entered his mind – he was too good – to believe that the gods are real, and viler than the vilest men”; but Psyche is not so sure: “Or else thy are real gods but don’t really do these things. Or even – mightn’t it be – they do these things and the things are not what they seem to be. How if I am indeed to wed a god?” “Wed the god” is how Psyche’s sacrifice is called, although everyone believes this means in fact she will die, perhaps by being eaten by “the Brute”. In fact, Psyche is correct: the reality is more wonderful than anyone imagines, of a wonder that most people, including Orual, cannot conceive of or accept. that life itself offers opportunities for the transformation, for letting go completely and hence knowing (seeing, experiencing) God. Related to the idea that Orual is not ready, psychologically, emotionally, spiritually, to see the god’s palace, is the idea of face. Orual is so ugly that she wears a veil over her face most of the time. When she meets Psyche in the secret valley the second time, she describes her as “so young, so brightface.” “Brightface” is not a native English word. It is a made-up word, probably a literal translation of a Greek word or phrase. Much later in the story, Orual understands how she, and humans generally, use words believing that they are getting closer to the truth, but in fact they are often only building a wall, or repeating the same nonsensical things over and over. Orual herself kept in her heart for years her hatred, her complaint, her bitterness, and finally expressed it to the gods. However, her complaint had no end: if the gods had not told her shut up, she would have continued forever. Perhaps she felt that to express her complaint would bring her relief, but it did not, and never could. What she was looking for was relief, was true joy, but in order to experience that true relief and joy she would have to let go of her hurt, or her resentment, of her complaint, and also let go of her self and her self-centredness. When she meets Psyche again in the secret valley, she is more interested in whether Psyche still loves her than in finding out the source of Psyche’s happiness. In the second part of the book, she is forced to think about other people more than she has done before: about Bardia and Bardia’s wife; about her sister Redival; about her own father. She is accustomed to thinking of other people only in how they affect herself, but little by little she discovers how little she knew about those people. At one point, the Fox, her old tutor and advisor, tells her that the King is actually a little afraid of priests and women, and this astonishes Orual: she had never considered that possibility; in fact, she had never really considered the King, her father’s, real needs or feelings at all; she was only concerned with protecting herself against him. She is actually in his room where he lies dying, looking for a helmet to protect herself in her coming duel, when the King dies! 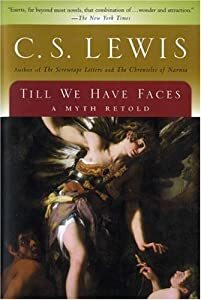 Lewis felt that myth was a vehicle for truth, a way to tell the truth in a way that people could understand more easily, more directly perhaps, than by simple straightforward exposition or explanation. The next session will be on Dec. 2nd from 3:30-5:30. This will be the last meeting of the Informal Reading Group this year. For this session I’ve chosen 2 pages from a novel by American authoress Edith Wharton, “The Age of Innocence”, for which she won the Pulitzer Prize in 1921. Edith Wharton wrote in a post-Romantic style, the style called Realism. 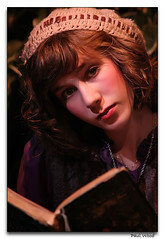 The story and the characters show the tension between Romanticism and Realism. There seems to be no Japanese Wikipedia entry for her, but perhaps some of you can find a good website in Japanese about her. “The Age of Innocence” is also the title of a painting by the famous British portrait painter Joshua Reynolds. You can see the painting and read about Reynolds here. Did this painting influence Wharton? We can discuss this in the session, perhaps. This website tells the whole story of “Age of Innocence” in a “digested” form (in English, though). This article writes about “Age of Innocence” and Gustave Flaubert‘s classic “Emma Bovary“, itself a novel about Romanticism. Today’s topic is teenage skaz and the selected text is an excerpt from Cat cher in the Rye (1951) by J.D. Salinger. The story follows Holden Caulfield‘s experiences in New York City in the days following his expulsion from Pencey Prep, a fictional college preparatory school in Pennsylvania. in Russian literature, a written narrative that imitates a spontaneous oral account in its use of dialect, slang, and the peculiar idiom of that persona. Today we discussed irony, and we read an extract from “Old Wives’ Tales” by British author Arnold Bennett. It was not as difficult or challenging as Ayn Rand, which we have been reading for the past 3 sessions. However, the discussion was not quite as lively as in previous sessions. It seems that reading Rand gets people’s brain cells working. 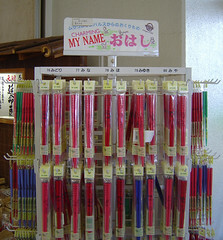 JD Salinger‘s novel is one example in English. Another is British writer’s Anthony Burgess‘s A Clockwork Orange. Salinger is a recluse. He has repeatedly refused all attempts to obtain his permission to make a movie of his book. Salinger was recently in the news but look at the photo! 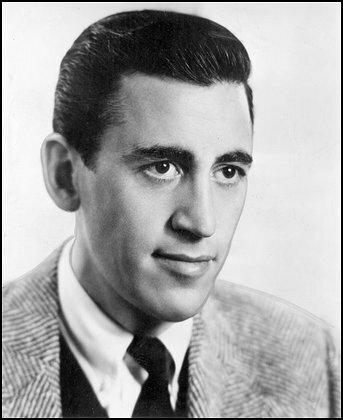 That is the most recent photo of Salinger? 1951? ?